Google Adsenseis a marketing arena which take advertisement contract for the big company who want to showcase there website for more profit. So where do you fit in , google search for people running any website , blog etc to show those advertisement on your blog. They share 67% of the money with you and keep the rest with them self. Some people get disable Adsense account due to invalid or fake clicks on the ad’s they show. 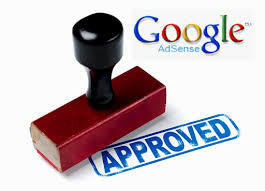 Many people think that they can out run the law of Google Adsense and make quick money but that’s not true. You have to Stick to the Google Adsense rule and regulation.